Frédéric Vanneste graduated from KU Leuven in 2001. He studied law in Kortrijk (1996-1998), Salamanca (2000) and Leuven (1999 and 2001). In 2005 he was a visiting researcher at Washington College of Law, American University’s (USA), where he prepared part of his doctoral thesis. 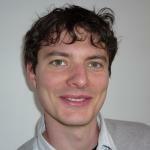 In 2009 he defended his PhD at the KU Leuven, with the title “General International Law before Human Rights Courts. Assessing the Specialty Claims of International Human Rights Law”. From 2001 until 2007 he was a teaching and research assistant at the Institute for Human Rights and the Methodology of the Law Centre (both KU Leuven). His research focuses mostly on the European and Inter-American Human Rights systems, with a special interest for the legitimacy and functioning of both systems in international law. As of 2008 he is auditeur at the Belgian Council of State (Supreme Administrative Court), legislative section. In that capacity he is essentially dealing with constitutional law, human rights law, implementation of European Union law, justice, social housing legislation and tax law.